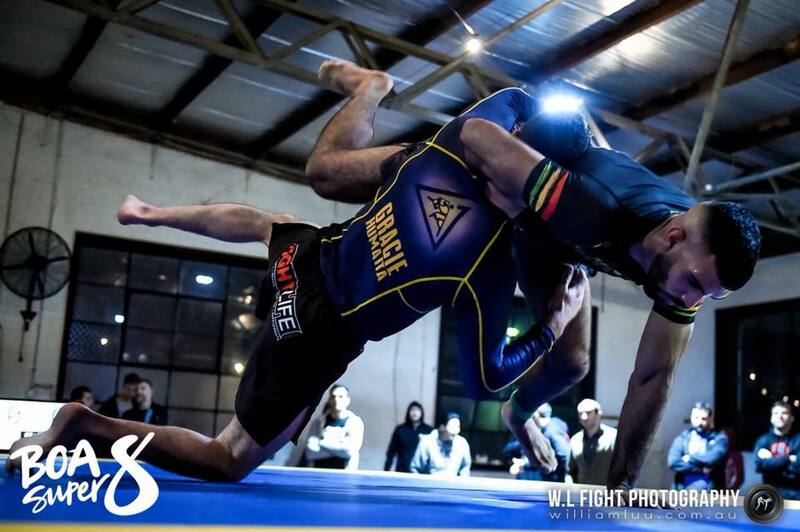 Gracie Balmain is now home to a growing family of BJJ enthusiasts travelling from many of the inner Western suburbs of Rozelle, Drummoyne, Annandale, Ultimo, Leichhardt, Gladesville and Glebe to meet and roll together each week. Hi! My name is Joel Costello, and hopefully I’ll be your new coach. I’ve been training Brazilian Jiu Jitsu (BJJ) for 15 years and coaching for 7. I was awarded my black belt on March 7, 2018, I’ve won multiple Pan Pacific and Australian Championships during my decade and a half in BJJ and I’ve been running Gracie Balmain since July 2016. But that’s Joel in 2018. Back in 2003 I was where you are right now - curious about BJJ, wondering if I should take the plunge. Always fascinated with games and puzzles, I was also intrigued by martial arts, thanks mostly to Bruce Lee and Rocky. In my teenage years I tried Taekwondo, boxing and kickboxing, but found none of them could scratch my particular martial arts itch. If you don’t know much about Brazilian Jiu Jitsu, it’s a grappling martial art, similar to judo or wrestling, that was popularised in countries like the USA and Australia by the UFC. Nowadays every UFC fighter uses a mix of martial arts, but back in the ‘90s the concept was different. Each contestant represented their martial art, and they hoped to win to prove that their martial art was best. Like hundreds of thousands of others, this is how I was introduced to Brazilian Jiu Jitsu. You may have heard of Royce Gracie. Royce was just over 180 centimetres tall and weighed around 80 kilograms, yet he managed to submit bigger, stronger opponents like the notoriously athletic Ken Shamrock and the 120 kilogram Remco Pardoel. It was like watching magic. It reminded me of the moves used in WWE, except it worked for real. Around the same time, a friend started doing Brazilian Jiu Jitsu and invited me to come try it. I was reluctant, but thankfully decided to give it a go. Amazingly, I found that the teacher, Bruno Panno, was trained by Royler Gracie, the brother of Royce Gracie. Royler and Royce are both sons of Master Helio Gracie, whose portrait hangs on BJJ academy walls around the world. Starting out in Brazilian Jiu Jitsu can be scary. However, not only was I astonished by Brazilian Jiu Jitsu, at how dangerous people smaller than me could be, but I was also impressed by how friendly everyone was. I instantly became addicted. Trust me though, Brazilian Jiu Jitsu is an addiction worth having. In it you’ll learn moves and techniques. Once you get comfortable enough, you’ll be able to do battle at full intensity with your opponent, your mind working overtime to come up with defense and attack solutions. BJJ is unique in this way. We fight to get our opponents into the position for a submission, not to kick, punch or slam them, as in other martial arts. This means it’s possible to train with all your might without actually getting hurt, even if your opponent is much bigger and stronger than you. Think of it like a human chess match. Each player employs strategies until one gets the upper hand. As soon as the other is too uncomfortable he or she will tap, and the game is over. And then you slap hands and start over again - getting a little bit better each time. It may sound complicated or even intimidating, but everyone looks after each other. We all get better together. That’s why I’m a proud Brazilian Jiu Jitsu addict of 15 years. But that’s just me! Your curiosity in BJJ may be piqued by wanting to know better self defense, or just out of a desire to be more active. Students at Gracie Balmain started doing BJJ for different reasons, and many get different things out of it. All that is because Brazilian Jiu Jitsu is more than a martial art. It’s self defense. It’s a sport. It’s fitness. It’s problem solving under duress. It’s a game. It’s an artform. And most importantly, it’s so much fun. I highly recommend you give it a try. It might just change your life. After all, it changed mine!